A Writer’s View on Body Image. 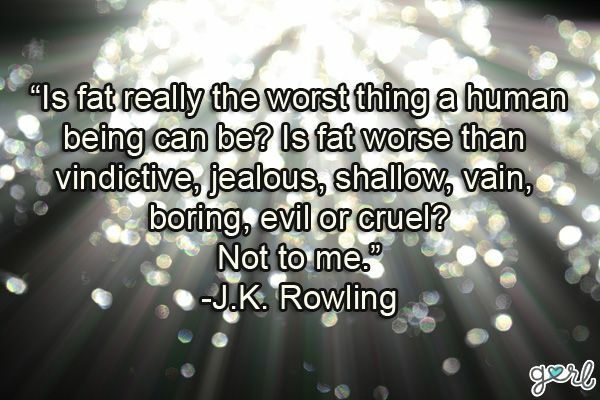 Author JK Rowling reminds us all that there are more important things to look at than size. Image source.